While I thought I was catching up last week (really, I was! ), I still managed to fall behind schedule on my Ring a Week construction. I decided (wisely, I think) that doing the enamel work last night after 10 pm was not the right choice. So it had to wait until afternoon today. 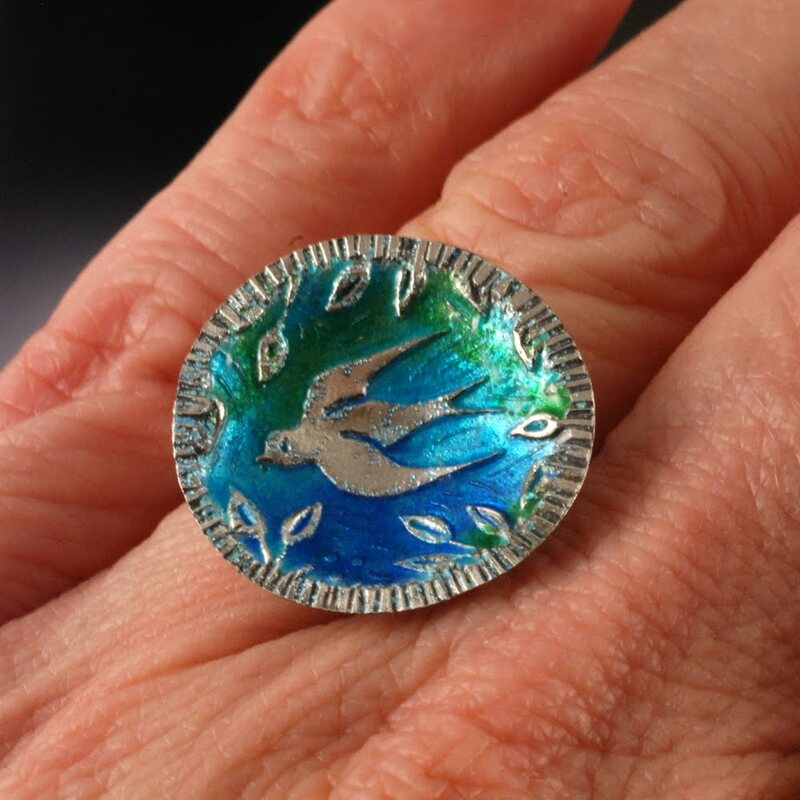 I just finished another project that I incorporated enamel into, my final Master Muse tutorial, so I really wanted to try some enamel on a quick ring. This is a spin-off on my second ring, but with a pop of color. 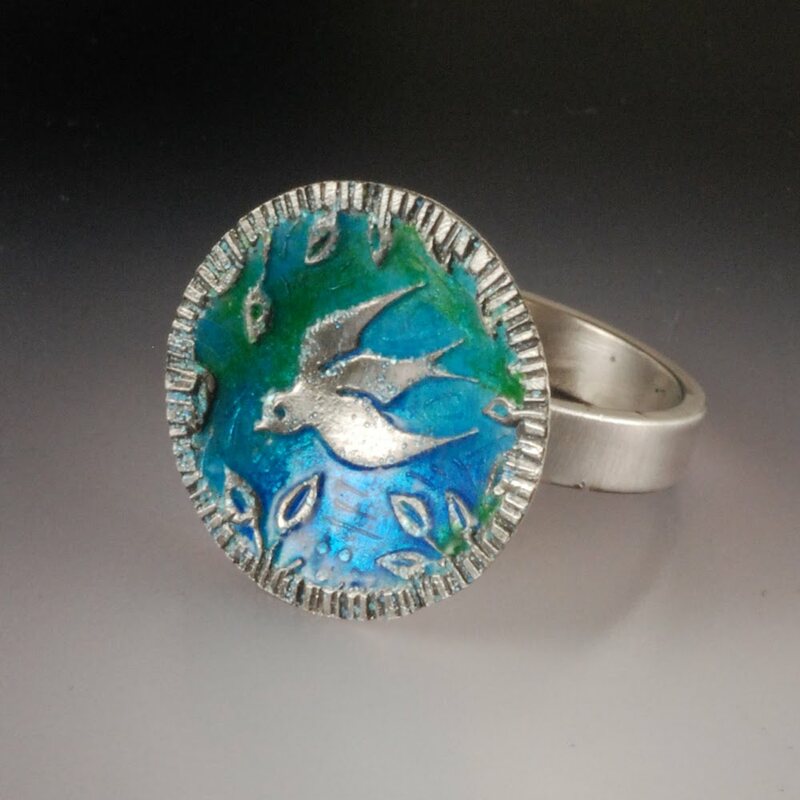 When I went to fire the enamel, it occurred to me that I had no sure idea how to support a ring well in my kiln for enameling, so I decided to torch fire it, which was very quick and easy. I have a couple more variations in mind, and even components lying about on my table. Perhaps I'm catching up after all. 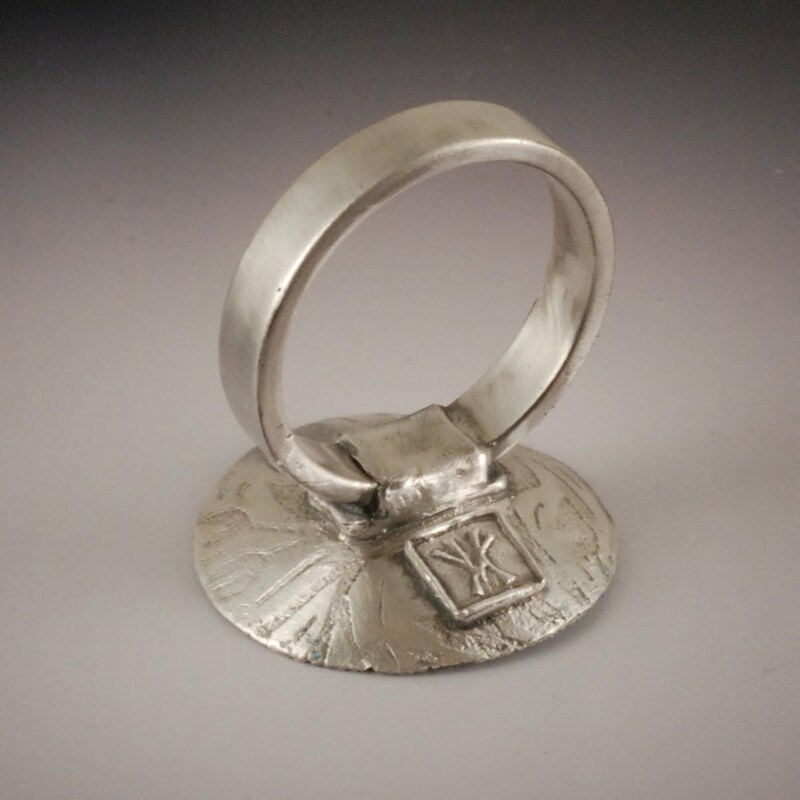 I could stand to have a bit more time to fuss with the enamel, to clean off the exposed silver better, etc. Time -- the limit of creative output! That's just beautiful Vickie. I still haven't tried torch enameling. You're inspiring me again!